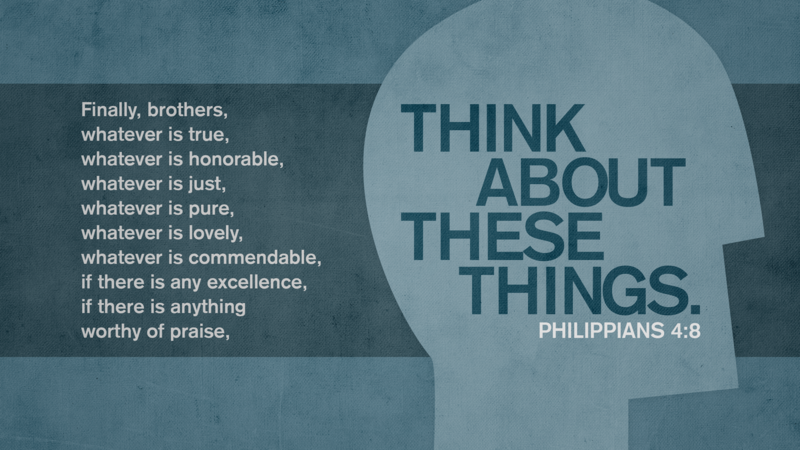 Before you hit “share” or “like” on that post or funny story, let it simmer for a bit and consider Paul’s admonition from Philippians 4. Is it true… Each and every day, hyped up fear fed articles are posted about new applications, foods, vaccines, politics, local events, the family next door… Many of them are just not so. Simple common sense should tell us that 1/2 of these things are not so, and discretion should eliminate the rest. If it is really that important take the time to do some fact checking. Is it honorable… Not every noteworthy event in life needs space in our heads. Mark you space with things worthy of real honor. Is it pure… It helps to become a little savvy with social media. Sometimes an old friend, will pass along a great uplifting story, but they shared it from a Facebook group or page that either has a foul name, or commonly passes along material filled with profanity. Make a choice to check out first if the story is true, then find a clean source to share. Not only will you help yourself, you help those who you want to encourage. Is it of good repute… Remember your reputation. When you share that page, your character goes with it, for good or ill, they will be latched together from that point on. Do you really think those 2 or three good things are worth the filth one needs to swim through. Is there any excellence… Is this really what it seems to be, and does it provide the best you want those whom you care about and lead to follow. Does it raise the bar? Is it worthy of praise… Life is already full of enough sorrow, our broken hearts desperately need things worthy of praise and rejoicing. Good article. I am referencing it and using the highlights in a teen class on using social media to glorify God and edify others this weekend. Excellent thoughts to consider when online. Previous PostPrevious Some things linger longer than others.